Polyester twin checks are specially made to withstand elevated temperature and chemical extremes. The permanent acrylic based metallized adhesive is guaranteed not to come off during processing. 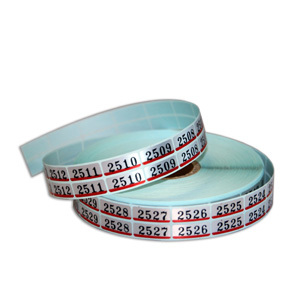 Polyester twin checks feature easily identifiable color strips along the bottom. Green /Twin Checks 4 Digit 2000 Per Roll.